I can’t take credit for this idea- I saw it on Instagram and thought it was genius. It’s a ‘picture keeper’ from Michaels and has individual containers so you can separate seeds by type. I’m not a great gardener by nature, so I often reference the seed packets for info. So being able find them quick will be so nice! We also had an incident recently where I caught the goats chewing on some of my seed packets I had left on a shelf out in the barn. 🙄 So they will also be much better protected! Right now I have about 65-70 different varieties in here with room for plenty more. 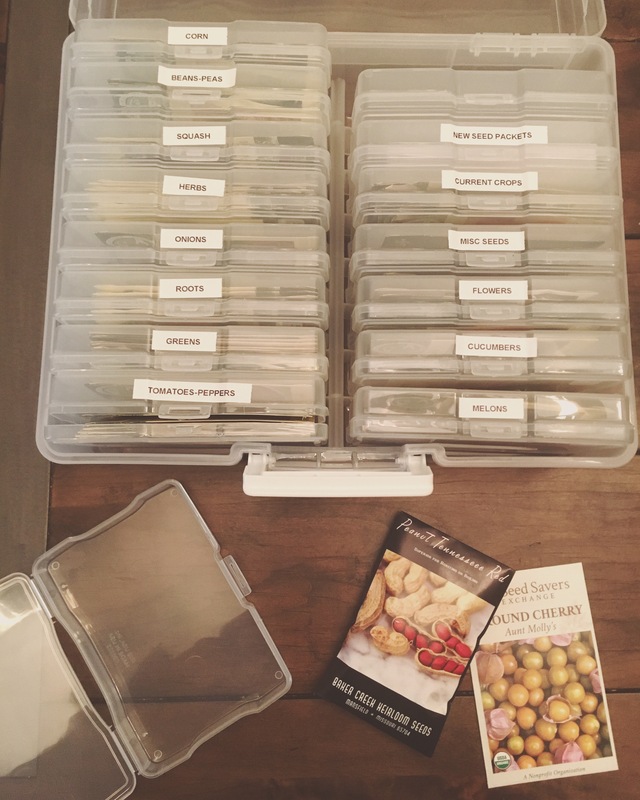 I’m getting ready to start some seeds for my spring garden, and it feels good to start off so organized! Who else is looking forward to the 2017 growing season? Happy gardening! Thank you! I was happy to come across it on Instagram!